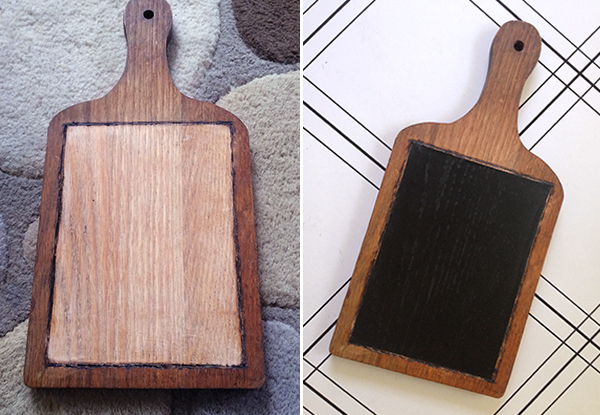 My mom gave me an old cutting board and I had the idea to turn it into a kitchen chalkboard. First I marked off a rectangle on the board and wood burned a border. Then Aaron sanded the rectangle until it was nice and smooth. I taped off the area with masking tape and painted it with chalkboard spray paint. It's my favorite way to create a chalkboard surface since it goes on so smoothly. 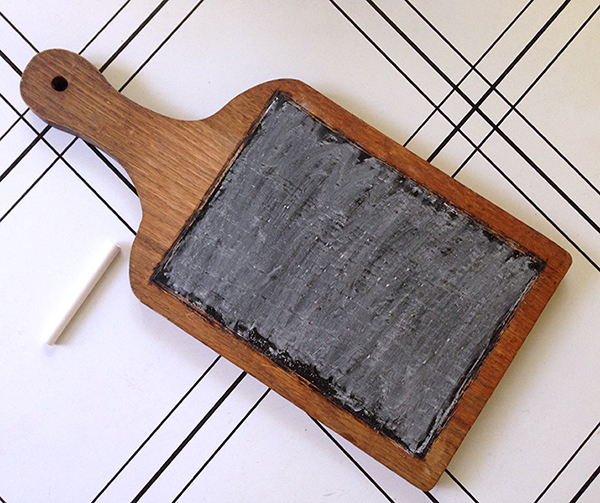 Chalkboard tip: Did you know that before you start using a chalkboard, you should "cure" it by rubbing chalk all over the surface and then wiping it off. If you don't, it will be really hard to erase the first thing you write on the board. 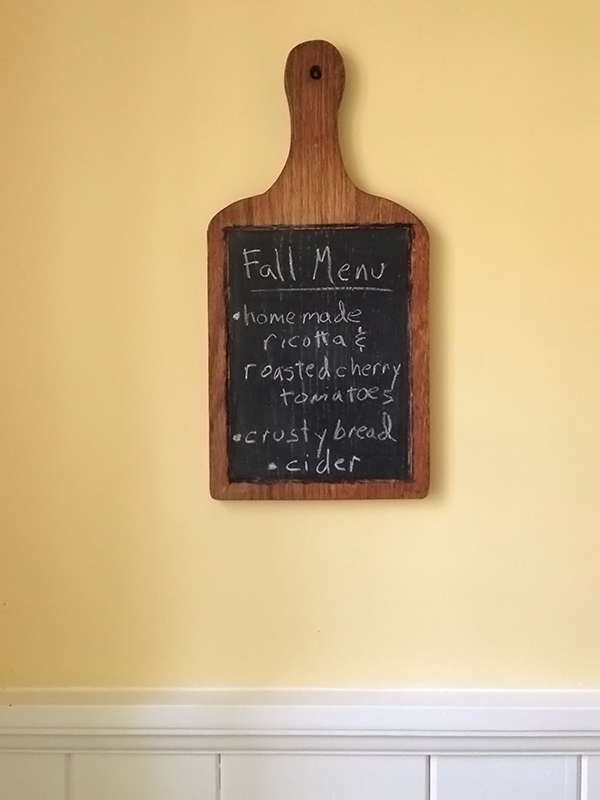 Now I have a really cute kitchen chalkboard. 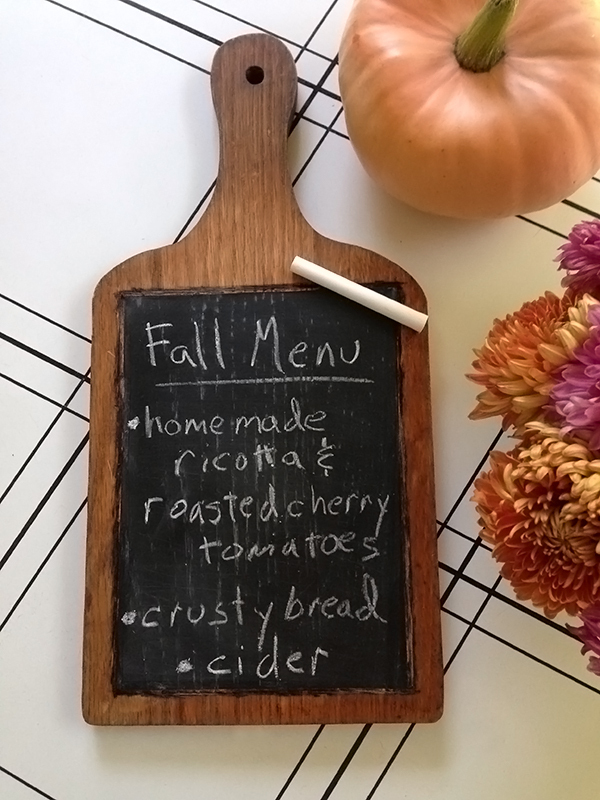 I can write grocery lists, holiday messages or my favorite... the dinner menu. Writing out the menu makes me feel fancy.